There are many reasons that people use crutches to get around. Crutches have been around for thousands of years, and they allow people to take the weight off an injured area of their body. Many people do not realize that there are other options on the market and that crutches are not the only way to get around. Here are a few reasons people use crutches as well as alternatives that work for those particular ailments. Having a broken leg is one of the most common reasons to use crutches. Most people use crutches to get from place to place, so they do not have to put any weight on their broken leg. Crutches, however, can actually damage blood vessels and nerves in your leg if you use them for too long. If you break your leg, you might want to consider using the Seated Scooter. This device allows you to rest comfortably on a large gel bike seat while propelling yourself with your good leg. Knee injuries can be very serious, and they are often very slow to heal. Some people use crutches while they go through rehab in order to keep the pressure off their knee while they get around. The problem is that they still have to use their knee some and it can be very painful just to move from place to place. For knee injuries, you might consider the Seated Scooter instead of crutches. The Seated Scooter allows you to sit and place the foot of your bad leg on an elevated platform in a stationary position. You then scoot yourself to place with your other leg. There are many things that can happen to your foot, and if you have to stay off of them, crutches are often prescribed. Staying off a foot injury is crucial to the healing process, but crutches are not a great substitute for a foot. If you want to stay off your foot, but remain as active as possible, the Hands-Free Crutch is a great substitute. The Hands-Free Crutch straps to your bad leg and acts as a stand-in foot. You will keep the weight off your bad foot, but you will be able to walk much like normal. If you have to recover from a sprained ankle, crutches might be something you consider a necessity. Doctors usually want you to use crutches until it no longer hurts to stand on your ankle. Every case is different, but you will want to make sure you do not cause any further damage by using your ankle too early. 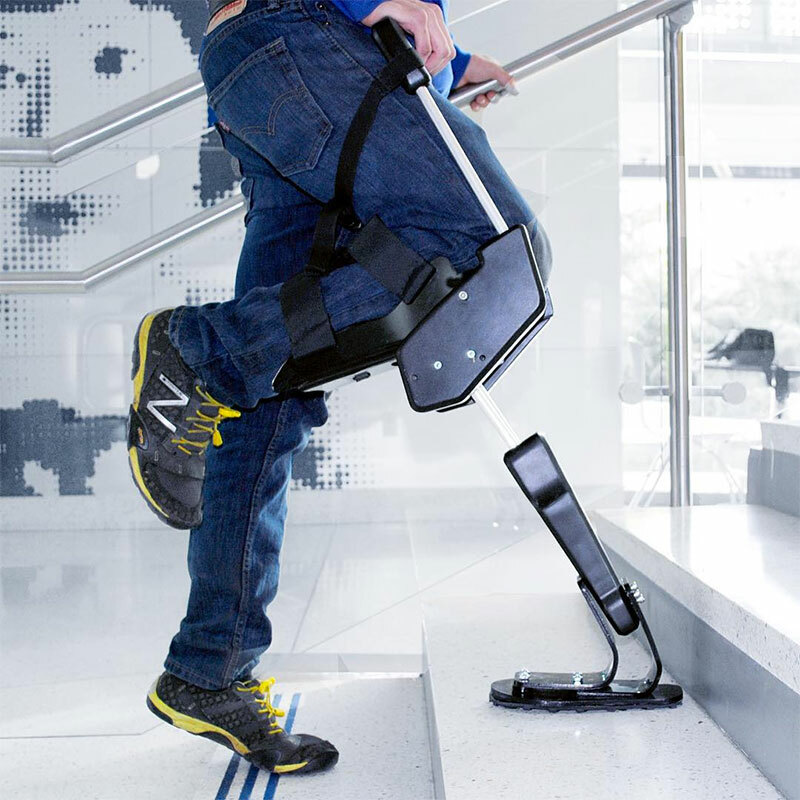 In order to get around easier while you recover, you might want to try the Knee Scooter. This device allows you to kneel on the knee of your bad leg while keeping your ankle elevated. You then scoot yourself around with your good leg. You can get on and off the device fast, and you can go anywhere you need to go even faster. There are many reasons to use crutches, but any time crutches are in the picture, there are alternatives out there that might work even better. If you go through any of the above issues, consider an alternative to crutches to help your recovery process feel faster and easier.